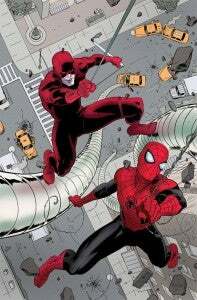 What were the best ongoing series of 2012? 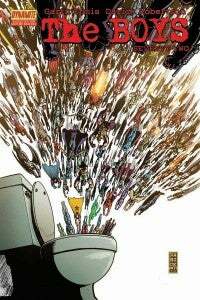 It's been quite a year in comics, with a number of new titles debuting and some of the most well-received runs in recent comics history continuing on from previous years, as well--so what's the best comic on the market? 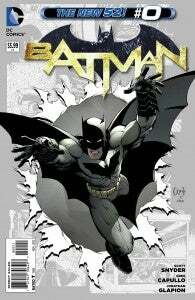 Is it Batman by Scott Snyder and Greg Capullo? Mark Waid's Daredevil? We don't like to split hairs like that, as quality is so subjective. Still, there's something appealing about celebrating the accomplishments of some of the truly great comics out there. For the sake of avoiding overlap with our list of the Best New Titles of 2012, we're only considering here books that have been in publication for all of 2012. That isn't to say that an overall "Best Comic of 2012" list might not include things like Saga and Hawkeye...but with dozens of great books on the market, we wanted to recognize as many as possible. Besides, there were so many auspicious debuts this year but the enthusiasm of a new series sometimes gives it a leg up on existing titles. 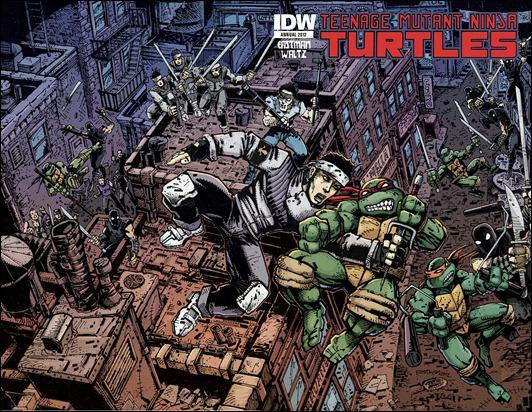 IDW's licensed titles are a blast, and Teenage Mutant Ninja Turtles is one of the best of them. Along with Ghostbusters and Judge Dredd, the trio form some of the only licensed comic books in my lifetime that feel as essential and engaging as anything coming from a major publisher. 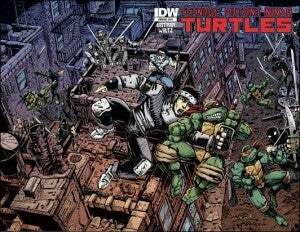 The book has charted an ambitious new direction for the fan-favorite characters and given the audience hope even as Michael Bay spent a good chunk of the year heaping disappointment upon indignity for Shellheads. The only thing that even remotely competes with this title for "best book with an X on it" is Wolverine and the X-Men, but X-Factor deserves credit simply for the consistency and longevity of its excellence. 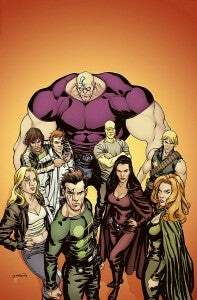 Peter David is approaching 100 issues since the Madrox mini set the stage for the revamped X-Factor, and the heroes of this book have evolved nicely. 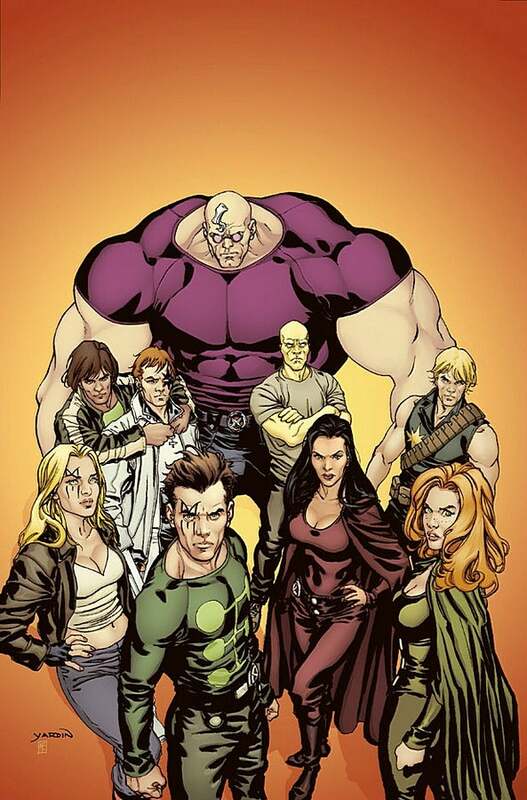 One of the hardest things to do in comics is to write a team book that's a credit to each of the characters and doesn't become "the two popular charcaters show," and that's something X-Factor arguably does better than any other team book we're reading. Apparently Marvel knows they've got something special with this book; they've so far left it alone in Marvel NOW!, opting to treat it as David's baby rather than renumbering and restaffing; there are only a handful of other Marvel titles that got that kind of treatment. For the last three or four years, Savage Dragon is hitting the heights of quality it's never seen, getting the kind of comeback which, if it were a Big Two title with a new #1, would have blown people away. Instead, Erik Larsen quietly keeps it moving, evolving in real time in such a way that twenty years into its run, Dragon now has a pair of kids who are old enough to star in the title. 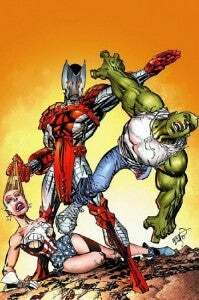 2012 was a huge year for the book, fulfilling an ancient promise to fans to bring Vanguard's war to earth and finally bringing to a close the "Death of Savage Dragon" story that began more than 30 issues before. In doing so, it set the status quo for the future, doing away with arguably Dragon's most popular and well-known villain to clear the way for Malcolm and Angel to begin developing their own supporting cast more aggressively. Waid's dialogue crackled and the clever, stylish take he brings to Matt Murdock is arguably the first really revolutionary look at the character since Frank Miller's. Everything since the '80s has been derivative of Miller, playing not just with characters and concepts used during that run, but more importantly with the same tone and way of looking at the character. As he often does, Waid has brought a different perspective altogether on the character to the table, a gamble that paid off for Marvel in a big way. Oh, The Boys. How we shall miss thee! With a symbolic flush, this long-running series ended this year and it may feel a bit like we're doing a Return of the King "lifetime achievement award" thing here, but the series' final year really was as good as it's been in a while. Since about the halfway point, this title has felt like it was kind of treading water, very infrequently taking that next step or doing something that hadn't already been done before. This year, having the end in sight, its sense of purpose and direction was renewed, leaving us wanting more. Kate Kane is one of the best new characters to come along at DC in years--and hey! They didn't even retcon her out of existence! Last year, we were blown away by a number of DC books, but the wheels have fallen off almost all of them. 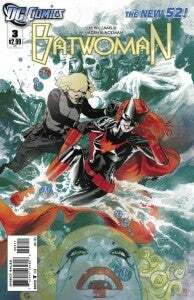 Batwoman is one of only a handful of titles that hasn't had an appreciable dip in quality in the year-plus since the launch of the New 52. Rumor has it J.H. Williams III might not be able to stay on this title once his run on Sandman begins, which would be understandable but a shame. Most fans would disagree with me on this one, but for my money, this is the best Gotham-based comic at DC. Did we mention how we really thought this was a great comic? Ever since the first issue of the series, this book has been on our radar, and it's just a beautifully-rendered, unapologetically fun book. It's hard to imagine a better comic book based on a licensed property. Why? 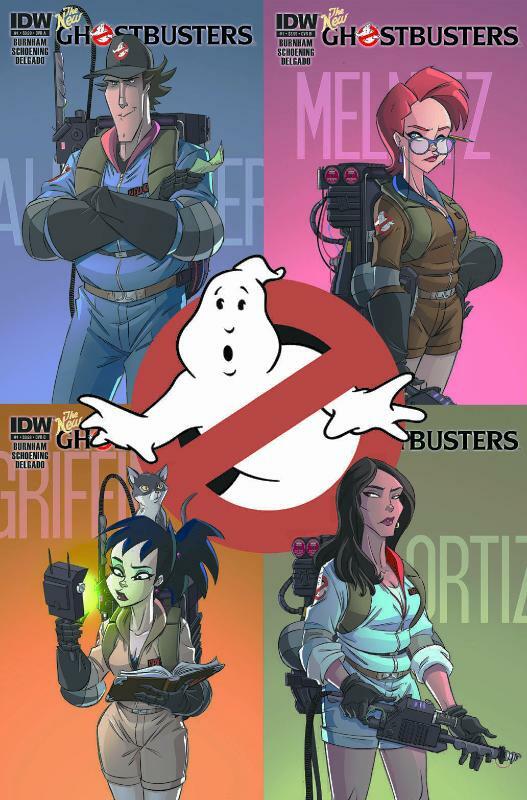 In part because Burnham and company have perfectly captured the tone of the films--which is good, because it means that when you do something crazy like doing away with the main characters and bringing in a lead from the reviled Extreme Ghostbusters cartoon, your audience can still have faith you're going to deliver. It's incredibly hard to do icons right. Everyone has their own perfect vision of what a Batman or a Wonder Woman, a Superman or a Spider-Man story should be. That's part of the reason that, at any given time, most of the people writing and drawing those books have a sizable number of readers hating on them. 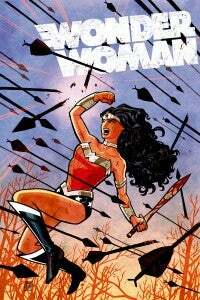 Wonder Woman, though, is a nearly perfect comic in many respects; it's so far off from what's been expected of the character in the past that it actually kind of works because most fans understand it's operating in a different place; it's not like somebody's approximating George Perez's world, but failing to get the characters quite right. It's beautiful, though, and well-written, with strong characterization and the occasional twist that totally messes with the readers' minds. And taken out of the context of those expectations, the creators are able to fashion a comic from the ground up. 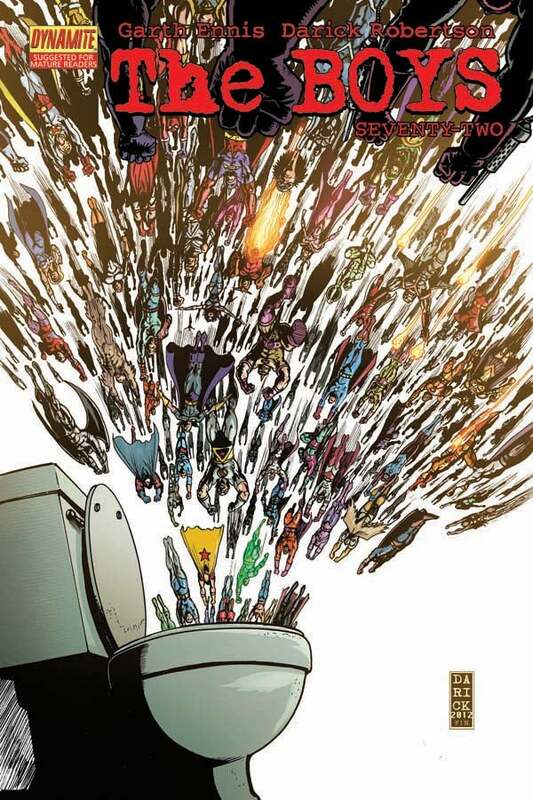 Really, this is what the New 52 should have been like for more books, rather than falling into the comfortable groove of rehashing the same stuff that just got retconned. Plus, bonus points for steering well clear of the Superman-Wonder Woman romance. Remember above, when I said that if I were the judge, Batwoman is the best title in Gotham? 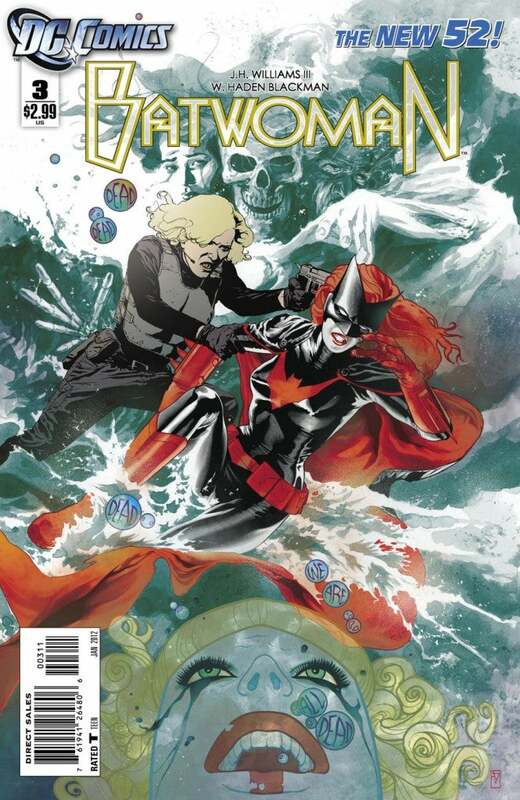 Well, most people disagree with me, and that's no slam on Batwoman. Of course, that's also not to say I can't appreciate what's going on in this title. Scott Snyder and Greg Capullo's Batman is unquestionably one of the best takes on the character in recent years; for my money, it's the most consistently great Batman has been in twenty years, and they're showing no signs of slowing down. The myth-building they're doing in Gotham is brilliant storytelling, and it's difficult to question Greg Capullo as the single standout artist not just of the New 52 but of the last two years in comics. This is, by any objective measurement, a remarkable book. The Joker story, too, seems to be setting the comics scene on fire. When you look at a number of the titles on this list, they're critical darlings but they aren't necessarily top ten titles. Most months, Batman is a top four; creating a comic that's this good, and still sells that well? That's the dream. Few creators in comics are more well-rounded and talented than Terry Moore. Moore is the kind of guy who can write, draw, ink and letter a series, self-publish, and still be notable enough to be reviewed on IGN and earn Eisner nominations. 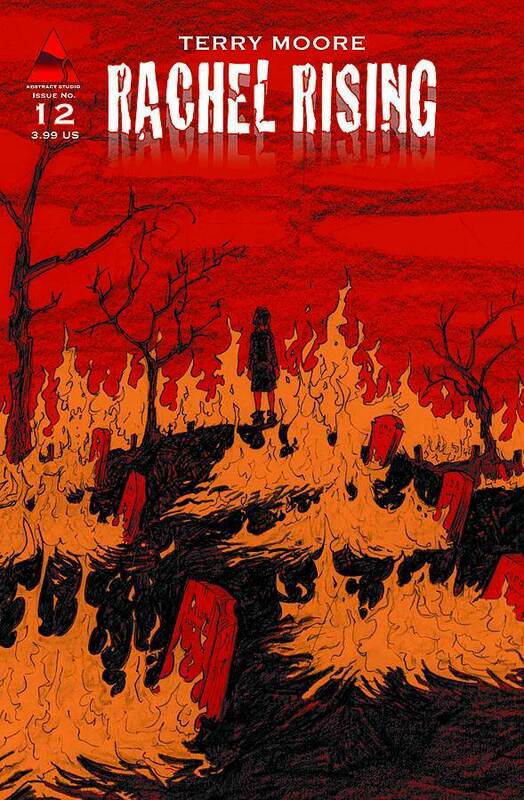 Rachel Rising is visually the most interesting work of Moore's career, with dark and damaged characters that make the storytelling as compelling as anything on the market. 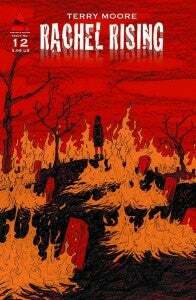 The connections to real-life religious stories and mythology are fascinating and lend the series a kind of visceral sense of horror in that this isn't just something Moore has come up with. It's something that's been out there for a while, and he's just reaching out to tap it.